Ceramics in the District Newsletter! 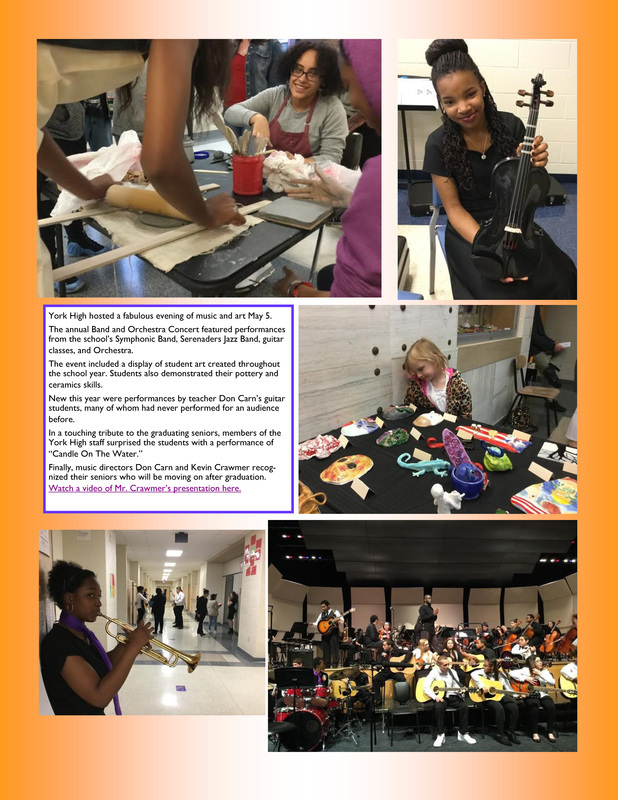 March 2018 Newsletter - Youth Art Month. December 2017 Newsletter - Skill building and heads with coils. 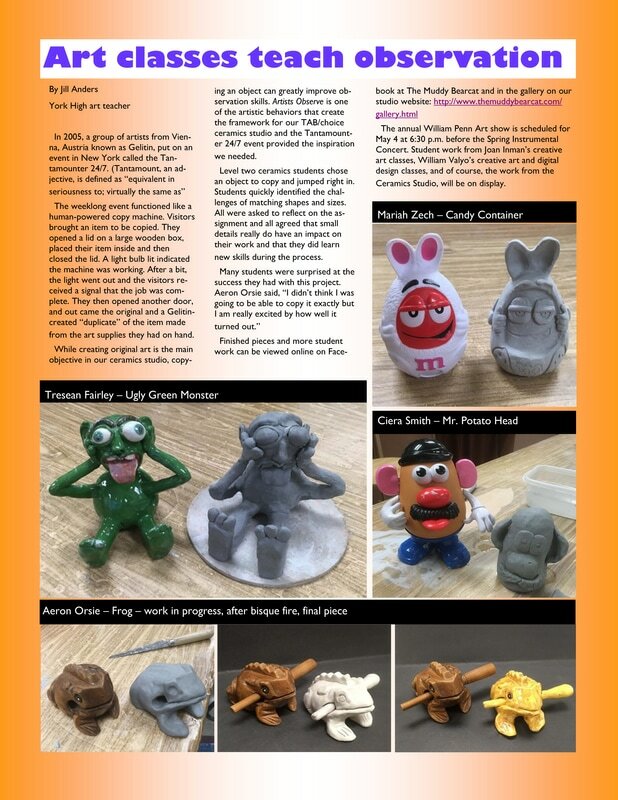 October 2017 Newsletter - What can you do with a pinch pot? February 2017 Newsletter - Tantamounter 24/7 activity to practice observation skills. May 2016 Newsletter - Muddy Bearcats showing off their skills during the Annual Art Show and a tiny guest checking out the masks. 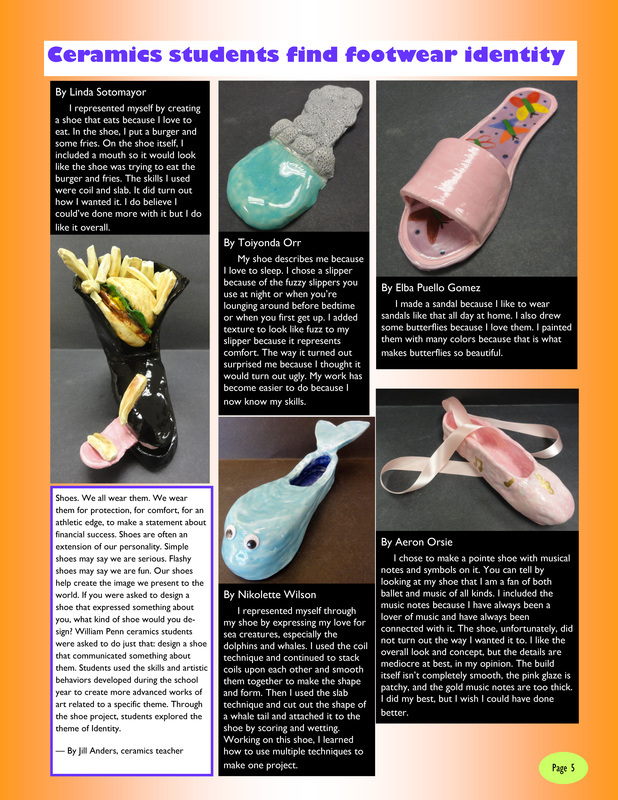 April 2016 Newsletter - Showing identity through a shoe.